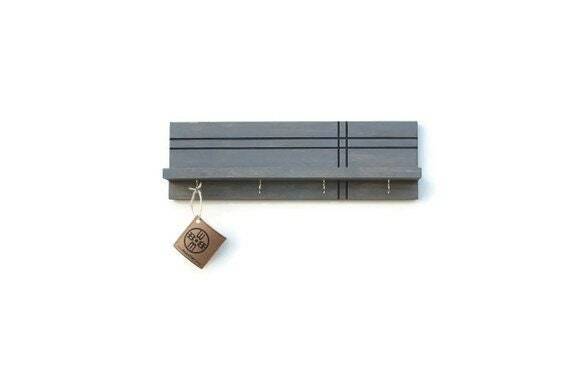 This hand tooled product features 4 cup hooks a 2-inch deep shelf for storing fitbits, watches, perfumes, cherished trinkets and other items within easy reach. 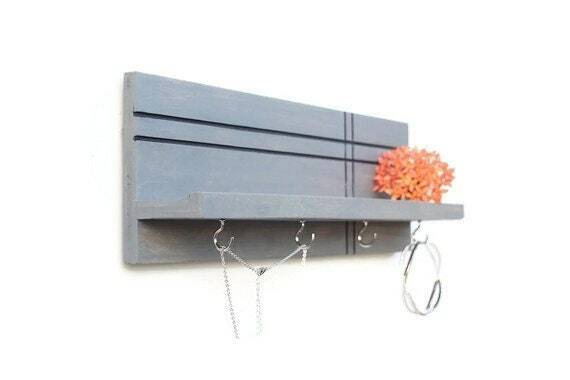 Our modern home decor design also works very well as entryway wall storage, providing a convenient place for your keys, phones, outgoing mail and tech accessories. 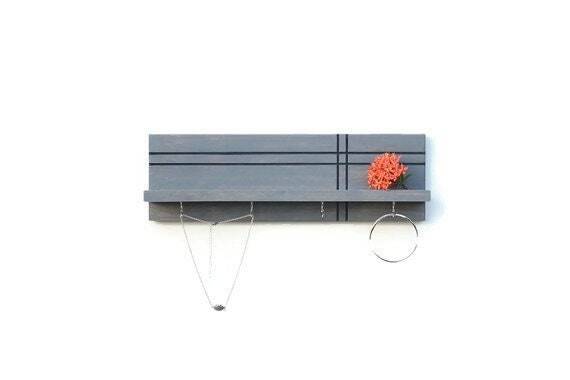 Made of wood artfully hand tooled in a pattern of inset horizontal lines, our jewelry rack / key holder features four metal cup hooks and a sturdy shelf for added functionality. 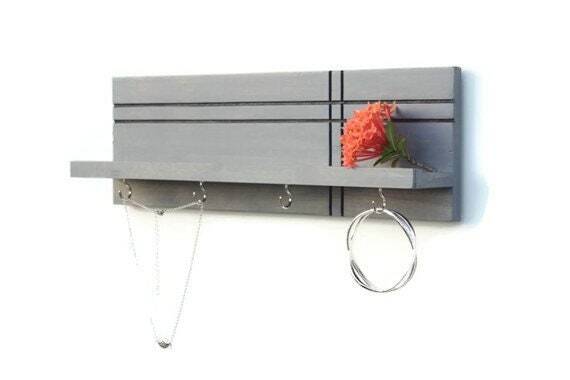 √ Easy to install using two keyhole hangers mounted on the back of the item. 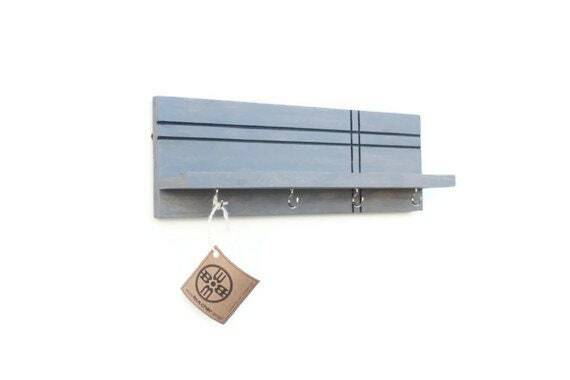 √ This product is finished with a modern matte clear coat and nickel cup hooks. * Please be advised that wood grains vary from product to product. √ Ships via USPS in 5-7 business days following receipt of payment. √ Kindly allow 7-10 days for custom creations. Custom orders are final sale.